"Voice 2" takes over the OCN Sat. & Sun. 22:20 time slot previously occupied by "Life on Mars" and followed by on "The Player" September 29, 2018. First script reading took place May 23, 2018 at Studio Dragon in Sangam-dong, Seoul, South Korea. 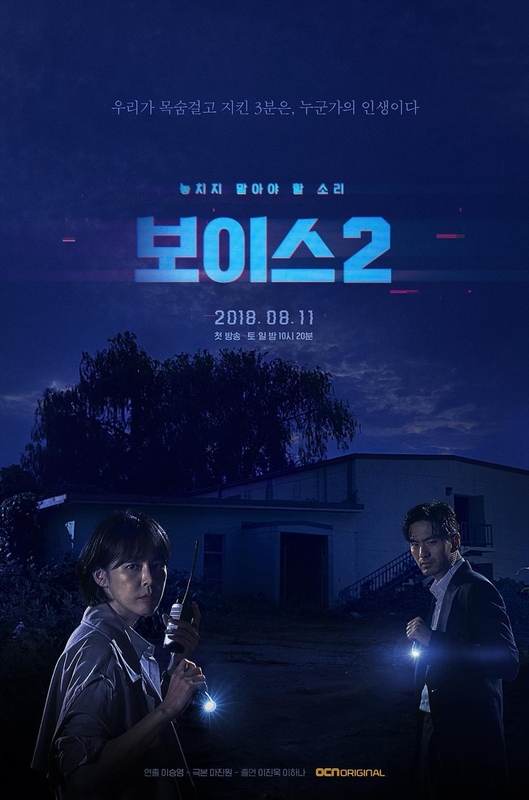 3 main posters for OCN drama series "Voice 2." 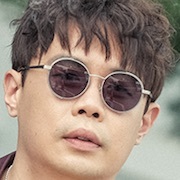 sesang Apr 22 2019 1:09 pm I mean I am looking forward to third season. sesang Apr 22 2019 1:07 pm Much better than the first season, so I am looking forward to this season. Cempredess Apr 20 2019 9:12 am Voice 3 premiere will be on May 11. I still remember the last line that Bang Jee Soo said: " When awakening someone, one has to kill someone important to him." 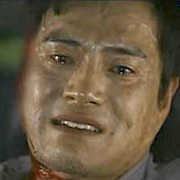 Then comes the scene of the bomb with Kwon Joo and the flashbacks of Kang Woo's past. A very clear indication that Kwon Joo is important to Kang Woo. Couldn't contain my excitement for the 3rd season. 1004 Jan 13 2019 6:46 am Such a stuck in the ending of voice 2, so I wish voice 3 will ready soon, and please bring back our moo jin hyuk (jang hyuk) and hyun ho (yesung) and i so wish there kind of psycho like moo tae gu (kim jae wook), i curious to see colab from jinwook and janghyuk.. This series will be -the best- series i ever wait this year plese dont make us dissapoint.. Lets see what will make us fallin, the psycho like tae gu or police like kang woo..hhaha? i am here Jan 09 2019 7:29 pm Absolutely loved it. This drama was a rollercoaster of adventure and suspense, each episode building up on the tension and drawing the viewer in. From the very first episode, the very first MINUTE of the episode, I was captivated and couldn't stop watching. From there I binge watched all 12 episodes and I have no regrets. The male lead had a complex backstory which even had me confused as to whether he was an anti-hero or not. Lee Jin-Wook's acting is superb to say the least, and it was refreshing to see a subtle romance brewing between him and Kang Kwon-Joo. His facial expressions, mannerisms, and the look in his eyes conveyed his emotions perfectly. 12 episodes made this a fast-paced drama which was appropriate. Had it been longer, it would've felt too drawn out. I just hope that Kang Kwon-Joo survives (I'm sure she does) and hope she's not too badly hurt. Can't wait for season 3! Furuya Dec 29 2018 2:16 am I think that Kang-woo had been framed for many times, for crimes committed by the actual murderer. the murderer exploits Kang-woo's psychological weakness to make people around confused, even for Kang-woo himself. big possibility Kang-woo is the key to the murder case of Miho, a key witness. Cutie Nov 09 2018 8:02 pm This season is pretty good, I like the introduction of the new character because there's so much more to watch about him. The emergency cases for this season are all good and anticipating. If you haven't watched season 1, you don't have to bc the story of this season doesn't contain anything from the last season except for some mentions of the old character. Mayi Nov 06 2018 7:49 am I think it was like the movie of Liam Neeson "Unknown" where he cant remember that he was one of the bad guys. Just like the old man said at the end that Kosuke will come back to them. I can imagine now what the season 3 would look like. Jjb Oct 29 2018 2:34 pm Can someone tell me why Jang Kyung Hak get killed? What kind of relationship does he have with Bang Je Soo? Hiso Oct 28 2018 10:46 am I agree with Ran's comment that 3 of them will reunited, i hope kang center still alive, and Jang Hyuk come back (because all of this mess lmao). Lol imagine about Moo Jin Hyuk and Do Kang Woo being explosive or yelling full of anger at each other ??? heba Oct 26 2018 6:08 am Very amazing actor the drama is very unexpected i cant wait for season 3 am dying for it ? i recommend the drama for all my friends its great ? SB Oct 12 2018 10:34 am SPOILERS! Florensia Sep 26 2018 12:50 am i very like this drama........ wowww after season 1 , i already falling love with season 2!!! i like do kang woo too and i hope the third season, moo jin hyuk do kang woo and kang center will be reunited. and i hope there are more scene which more intense than before i hope also yesung and sim dae sik can back also cannot waiting for third season!!!!!!!!!!!!!!!!!!!!!!!!! Emma Sep 25 2018 6:46 pm the ending was a shock to me, but I really like this season. I think they will bring the main lead of season one and yesung in season 3 . anyways I highly recommend this drama. What the hell is wth the sh*tty ending?! It didn't even explain anything about Kosuke's true past with the psychopath! They just killed Miss Kang like what the heck?! Only 12 episodes for nothing. I'm very disappointed with the second season of Voice. There should be more episodes or a third season. GG Deser Sep 20 2018 6:09 pm SPOILER ALERT...do not read if you haven't watched Ep 3 yet! In Episode 3, How did that poor little child actor perform so well? He must have nightmares after that performance that could haunt him forever!!! The young girl who had been assaulted also did a fabulous acting job. What a tremendous episode but truly my heart goes out to those two child actors who deserve highest awards (and hopefully some mental assistance from professionals). Scary but excellent drama..
Wtf Sep 18 2018 2:06 pm That was truly the most terrible ending I’ve ever watched. Thanks fr wasting my goddamn time. Gyuri Sep 18 2018 10:32 am Anyone know who is the actress who helped Bang Jesoo as the restaurant owner? Wel Sep 18 2018 7:29 am Do kangwoo tears is my weak. Please ocn, don’t make Kang center die or sick. I ship kangwoo and kang center, you better give them more love line please. I can feel their chemistry more than moo jinhyuk. Yui Sep 17 2018 12:01 pm OMG! I can't wait for the 3rd season already! 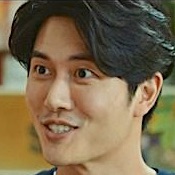 Just a thought though, would they bring back Moo Jin Hyuk to help Do Kang Woo? I would be a great collab! AZ Sep 17 2018 11:55 am Please bring Shin Sung-Rok as villain in the third season. Betty Sep 17 2018 11:19 am Director Kang oh no.. why ? .... who will be the next leading lady, Park? Does she have hearing ability as good as Kang ? Can’t wait for Voice 3. Zen Sep 17 2018 9:13 am OMG that ending !! Eun Jae Park Sep 17 2018 6:10 am Wtf the ending. o.o Sep 17 2018 5:18 am if Lee Ha Na dies (in the drama) the tittle of the drama shouldn't be voice anymore,, i really hope she is in Season 3 cast ? traumatized Sep 17 2018 4:35 am the ending?? wth????? Rizza Sep 16 2018 11:03 pm wait!! originally, it was 16 episodes but why only 12 now? what happened? is there any season 3 with both team leaders as cast?! Jholly Sep 16 2018 10:25 pm I'm excited for VOICE 3.... I hope it will be aired soon...... but the ending in voice 2 made me think of how it will voice again if Kang Kwon Joo died? Tim Sep 16 2018 9:08 pm what's up with the ending, is she dead or alive, please don't let her die, and who is the man backing bang je soo, hope there is season 3, there are questions that need to be answered, I'm sure bang je soo alone won't be able to pull off this hold operation by himself, there is that mysterious guy backing him up. Jun Sep 16 2018 8:18 pm The ending of this season really broke my heart in to pieces ? steam_shinesky Sep 16 2018 4:43 pm What is this ending???? Rachelle Sep 16 2018 3:52 pm I really love this series/drama from season 1 and present drama. Episode 11 is so very intense.From stuffs, director, actresses and actors you did a great job . I hope there's a season 3 with Mr. Jang Hyuk, and the cast of season 2. Layla Sep 16 2018 3:35 pm One of the best kdramas out there. Too bad that is too short. You won't regret watching this. Maiko Sep 16 2018 10:39 am It was one of the best korean series. Shari R Sep 11 2018 10:37 pm It is not the same without Jang Hyuk. Jang hyuk is a more seasoned actor, and was better character for this drama. faceu Sep 11 2018 5:58 pm Chief Na Hong-Soo (Yoo Seung-Mok) is a really really really annoying character. Acting like he's mr. almighty And Kang Kwon-Joo (Lee Ha-Na) always look very weak/afraid and like she's about to cry or something. Even though the story line and actors are good. 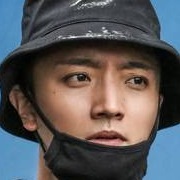 And don't get me wrong i like the serie/drama, it's just that they could've done a better job wit Kwang Kwon-Joo's (Lee Ha-Na) facial expression but that's just my opinion. ? 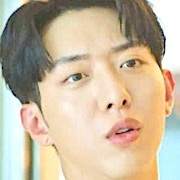 Yds Sep 10 2018 1:00 am Omo... Lee jung shin ?? Qzy Sep 05 2018 3:18 am I really loves first season and really excitement by first few series of season 2. Was pleasantly surprised by ukrainian language of Son Eun-seo. Thank you for beautiful drama. With love from Ukraine. Tin Sep 04 2018 1:28 am Love season 1 love season 2..
Princess 911 Sep 03 2018 11:35 am Uwaaahh... Lee jin wook + Kwon Yool.... Daebaaakk.. I love both actors, fighting..! Excellent plot.. ????????? Princess 911 Aug 31 2018 10:43 pm Lee Jin Wook.... ? ? ? ? ? ? ???? Yang Aug 31 2018 12:05 pm okay ... why didn't i saw yeesung in this season? i like his character in season as the hacker of the Golden Time Team. Yang Aug 31 2018 11:41 am okay, why didn't i see yeesung as being casted again in this season 2? i like him last season as the hacker of the Golden Time Team ..
anathasia Aug 30 2018 9:46 pm The Player will start at Sept. 29 so this drama only 14 episodes? Rash Aug 27 2018 11:41 am OMG I'm so curious after watching episode 6 and now i have to wait a week ugh. But seriously episode 6 was awesome, that horror type case. I'm wondering what's behind it and whether Jin Wook had an episode so that's why can't remember how his partner died. Arihant Aug 25 2018 11:02 pm Happy to see LJW in his element here.He is one of the best (if not the best ) actors who can portray a detective /cop or any action based role well. Expect him to continue in Season 3 as well. Inmyheart, dr Aug 22 2018 11:10 pm Jin wook is good but for this season 2 i hope he can match jang hyuk’s act & character. I have always admired jang hyuk’s act in many of his dramas especially in beautiful mind. This is one guy who can give his exceptionally all & best in any dramas & yet be able to maintain his own significant & unique mark or identity. If anything is wrong with his drama...to me it has to be with a mediocre plot or some sub par writing (eg. Wok of love). Orelse jang hyuk never fails to deliver. However i like jin wook too. jin wook is not just a mere actor. Again and again this guy is reliable & can always deliver his best when taking any drama roles. I have watched the first season with jang hyuk & kim jae wook- that was truly awesome. So fighting jin wook....so far in ep 1...jin wook is great! Anyway all the best...am looking forward to watching this... again fighting! Yui Aug 22 2018 2:37 am I don't know who's crazier, Moo Jin Hyuk or Do Kang Woo. I like how JinHyuk always says "I'm known as the crazy dog" in season 1, so I hope KangWoo can match up to his craziness in the 2nd season, I can't wait! I'm pretty sure Kang Kwon Joo must be like "another crazy one, yeah I can definitely handle that"
Bo3bo3 Aug 20 2018 1:28 pm The 1st season is way too better then the 2nd. I loved the new man lead character. But the story is not that Wow. lola Aug 20 2018 8:47 am you know what? I like the fact that we get a new male lead. It keeps the dynamic and plot interesting. A lot of the original cast had other projects to work on because let's be real - korean dramas with more than one season? It's not common. The way they explained their absence is good too! If this gets picked up for a third season and they're interested in returning, they can! As for THIS current season: I'm loving that Lee Ha Na's character is more involved. Lee Jin Wook is really yummy to look at haha but his character! So brash and impatient. At least Lee Ha Na has him in hand. I know some people are complaining about the villain being shown too early but that makes me have faith that this season has some really good thrills in store for us. Puteri Najihah Aug 20 2018 5:40 am For me the first series has a great plot and storyline, and for this second series, the plot and the characters in this story are also more that make us grow up and enjoy seeing them in action. So, for me both of these series are very good. Can not wait to watch the next episode. MM Aug 20 2018 4:38 am Lee Jin Uk is fantastic! Such a versatile actor. The only one who looks realistic in this show (except children, they always play excellent). His acting is European style, obviously not Korean, when actors 'act' with bulging eyes and motionless face. Lee Jin Uk's still the only one who makes me believe in what's going on. Honestly, wait more from LHN, why she never changes expression of her eyes and face? Kdbonkers Aug 18 2018 8:15 pm Lee Jinwook is a good choice for the main lead...i know he has BIG SHOES to fill.....BUT after episode 3 i think he can really pull off the character till the end.. And comparing them is unfair to both of them since they are both good actors..
It’s also unfair to say that S2 is not worth the watch JUST coz there’s no jang hyuk... I believe S2 has it’s own charm and appeal to at least some of us... it still has it’s old formula of fast-paced storylines... hair-pulling cliffhangers...and crimes that are soooo NOT FOR the faint of heart..
Omniia Mohyee Aug 18 2018 4:33 pm I actually recognized the masked man from his nose before getting to know him from here :"D I LOVE IT and i hope this season would be great as season 1.
yassss Aug 14 2018 9:12 pm Lee Jin Wook is an amazing actor! Love his character so far! The only real cop in the show, since everyone else wanna be so dumb. Stop hating on the show, there's only 2 eps & it's already good! Whatever Aug 13 2018 4:19 pm I don't like how the storyline is going so far, I didn't enjoy the first episode. I had to force myself to keep watching it until the end. 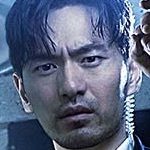 I feel Lee Jin Wook didn't do a good job with his role. I would have watched it even though I wished so badly that Jang Hyuk would be back. But, after watching episode 1, I don't want to watch it anymore. There are many better kdramas going on which is worth watching. Sarah Aug 12 2018 7:17 am Woahh so this is not only me who think that kwon yool is the killer? Chocopam Aug 12 2018 7:04 am @voice lovee I also have the same thoughts as you. the smile is the same as Kwon Yool. Wah i get goosebumps if this is true. We'll se the next episode. Poppy Aug 12 2018 6:58 am I like the male lead , he is the actor with deep expression . he is so rooted to his character. this drama is gonna be great. Bigboss Aug 12 2018 5:51 am It's kwon yool.... 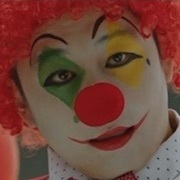 Suspect is kwon yool.... Daebak, I remember his smile. Ama Aug 12 2018 4:50 am Episode 1 was a huge pile of crap. I was going to watch the whole season even though Jang Hyuk is not on this season and his character supposedly "travelled to Japan to study". But after the first emergency call and [SPOILER ALERT] the stupid emergency lady was trying to "buy time" to talk to a schizophrenic with a bomb, when there were snipers in position to take him out, I had a feeling the rest of the reason is going to be just as stupid. Who cares about the tens of people on the same train carriage when the emergency heifer wants to practice her negotiation skills with a schizo? Ironically, the bomb was disconnected (highly unlikely). I'm not sure what the writer was thinking. I won't be wasting my time with any further episodes. Najihah Aug 12 2018 3:55 am I thought this drama will be very interesting. I love how episode 1 tells us about the mainframe of this drama. Thus, Jin Wook is a good actor, I love him in Return. And he is very suitable for detective roles. Najihah Aug 12 2018 3:52 am Yumi: Yes, you can. But I strongly recommend you should watch the season 1 first to understand the character first. Especially, Kang Kwon Joo characterize. Thus, the storyline for season 1 is so interesting and amazing. Sandy Aug 12 2018 12:52 am Where is Jang Hyuk? What a disppointment that he's not in this drama! Because in the first series the 2 main leads had something special going on. voice lovee Aug 12 2018 12:46 am Who else thinks the killer is actor Kwon Yool? chel Aug 12 2018 12:30 am watched ep 1 and it didn't live up to my expectations. it doesn't have the same intensity as season 1; didn't keep me on edge. i'm still watching the next episodes tho. let's see if it will be more interesting. hawkeye_kv_21 Aug 12 2018 12:14 am It would have been nice to see Yesung return, but I know Super Junior is super busy with promoting :( Honestly, his character was so charming and he connected well with Eun Seo. Maybe a cameo?!? Fingers crossed! Yumi Aug 11 2018 10:43 pm Hi guys, I want to ask something. I didn't watch Voice 1 as I was scared. So can I watch season 2 without watching season 1? tim65 Aug 11 2018 10:30 pm man in the mask sounds like lee sung kyun. Missing Jang Hyuk Aug 11 2018 7:52 pm Watched ep 1, disappointed! iria Aug 10 2018 7:14 pm All the best for this new crime drama ! I am waiting for it ! Mario Aug 09 2018 12:08 am Voice 2 is my first priority of all ! Sapphire Aug 08 2018 8:08 pm Goodness! This drama is coming to town y'all! Songil Aug 04 2018 11:56 pm the trailers are all thrilling . I am waiting for this! Bjork Jul 27 2018 6:36 pm nice teasers ! have been waiting since the day 1 it was announced ! really can't wait ! Lee Jin Uk and Lee Hana, fighting ! NVOZZ Jul 22 2018 3:07 pm can't wait!! Kdrama-fan Jul 21 2018 9:19 am Tbh, i'm not a fan of her (female lead) acting. Pwrsonally, Sometimes I find I'm bothered by her acting, her breath in this series (I've watch season 1). NGS Jul 08 2018 10:29 am to Sunshine. Lori Jul 05 2018 6:07 pm I greatly applaud actors that could take a heavy theme like this as their project. It's not easy to play characters that have to deal with psycopaths and gruesome crime. Even yesung said he always had nightmare after filming the first season. Komalchoi Jul 05 2018 1:58 pm No Yesung ??? DAESIKI Jul 03 2018 7:54 am We need to know what happened to Dae-Sik . Did he survive or not. HV Jun 27 2018 9:05 am Personally I am thriller kind of a girl and I am biased to anything where JH is in. So I loved, loved, loved “Voice 1.” With LJW in Voice 2, I am very skeptical. His last project “Return” was such a MESS in every possible aspect that I dropped it after 8 episodes. I am still infuriated that he chose such a retarded project after “Goodbye Mr. Black” which was so well produced. Well, let See if LJW can redeem himself in Voice 2.......!!!!!!! no :( Jun 25 2018 7:59 am quite sad that yesung isnt in s2, but still looking forward!! Fatma Jun 25 2018 7:49 am What about jang hyuk ? :'(( no one can replace his role come on!! Jhan Jun 24 2018 2:29 pm I still want the old cast its better with the old cast, i hope jang hyuk can appear again..
tin Jun 23 2018 8:46 am Tunnel was waaaayyyy better! I hope OCN can make Tunnel 2 also. Voice was brutal. Oh well kim jae wook made it legendary watch 1st season for him, his expressions , his dialogue delivery?????? Voice Jun 19 2018 11:24 pm Seriously???? I couldn't even make it past 1 and now there's a 2? With Jin Wook!!!!! I personally find him to be a good actor and handsome but JW, I don't think your agent likes you very much, your most recent dramas have been chaotic messes n now they give you voice!!!!!! Geez. You should have stayed miles away from any script that JH turned down. prettysup Jun 18 2018 6:37 am Yeah a Jang Hyuk cameo will be good !! chel Jun 12 2018 11:06 am jang hyuk has already turned down this drama. it was in the news, that's why the male lead is different now. still hoping a jang hyuk cameo tho. Aki Jun 10 2018 9:58 am Where is Jang Hyuk? ????? Cassandra May 27 2018 1:19 am Lee Hana and Son Eunseo are confirmed to reprise their roles from Season 1 of Voice! I hope we get to see more of the mentorship between Kwonjoo and Eunsoo. So excited for this! sheka May 27 2018 12:38 am Where is jang Hyuk?? I wish jang hyuk will also be apart of this drama.? 보이스 스텐 May 17 2018 5:22 pm Finallllyyyyy❤~!! Lily May 04 2018 6:32 am I wait this for so long. But I thought it would be with the same casts. Jang Hyuk really fit his role at the first one. I anticipated it a lot! brivnii Apr 29 2018 8:48 pm The first voice was so good! I am so happy there is a season two. Dududada Apr 23 2018 2:39 am Wow.. Voice 2 yeay! But where is Jang Hyuk? Hope he will play the same characters here. lia Apr 19 2018 1:32 am why the two not playing together? jang hyuk n jin wook. i think it will be great. 2 hot actors play this drama together. kiwi Apr 18 2018 12:17 pm Do I need to watch The voice 1 in order to understand? Is it good the 1st one? I am Lee Jin Wook follower. zahi Apr 18 2018 10:11 am Lee jin wook!! Cassandra Apr 18 2018 7:18 am Code zero~ code zero~ Kang Center is coming back!!! LKB Apr 18 2018 4:25 am Please please make the writing better this time... Don't dumb down the cops (I wouldn't have taken it twice were I Jang Hyuk to be honest and am super surprised Lee Jin Wook, esp.after Return, is doing this role. I would expect them to grab the likes of Oh Ji Ho perhaps (though he has moved on from detective roles, he is great at them)... Surprised they snagged LJW but since I watch about all he does, I really hope the script isn't a bag full of plot holes with sand pouring out smothering us with tragic illogical behaviors like going alone with no one informed to meet someone who you already suspect may be your culprit... They did manage to make the most terrifying unusual custom molded weapon in those freaky kettle bells. I still cannot go by a Cross fit with kettle bells visible and not shudder... Now just make the staff smart enough to not make this 20 hours of losing almost all bad guys until someone is on the brink of death! Chocolatess Apr 17 2018 9:40 am I want Janghyuk ahjusshi! I want Yesung! Cloud Apr 17 2018 7:26 am Hoping for Eun-So unnie to accept her role again. She somehow had a chemistry with my Yesung Oppa on the season 1. And I had a strong guts that my Oppa will be in this season as well. I will be the happiest fangirl if my little wish for them to star again in this season will be granted ??? Cloud Apr 17 2018 7:17 am Yesung said in a fansign that he will be in a drama on summer. Summer in Korea is between July-August. And between July-August is the second half of the year. Are you thinking what I'm thinking, guys?? meidewi Apr 17 2018 5:49 am Lee Jin Wook , yesss!!! Love you always ! Your acting is always daebak! Kyoya Mar 28 2018 10:55 am I often lose interest for season 2 of a series that I like if most characters will have different actors/actresses. Will try this, but I'm still waiting for Jang Hyuk's next series. Sandra Lee Mar 27 2018 5:47 pm Voice Season 2 with Lee Jin Wook ? Yesss !!! B.A.P Mar 19 2018 5:21 pm I really think lee jinwook oppa is best actor for this role.. since we know that jang hyuk won't be in this drama ,,, so jinwook is the best i really want him to accept this drama✌ it's my favourite drama ever i have seen ?? Tamara D Mar 19 2018 3:13 am I'm no longer excited about this since Jang Hyuk won't be on it :( I personally think he was behind the success of the first season. Ms.Xu Mar 17 2018 10:49 pm lee jin wook is perfect for this role ! I think he is very capable to play the detective role ! meidewi Mar 12 2018 3:43 pm So excited for this upcoming drama with Lee Jin Wook as the male lead ! Fighting ! ellie Mar 03 2018 12:15 pm ok so far the two main girls are on board just waiting for yesung and jang hyuk!! kangdongwon is a hottie Feb 02 2018 10:09 pm supersnazzy Oh Yea. Why are we sharing the same thought. Lee Min Ki would be perfect for a villain role. Incredibly perfect. You guys should watch the movie "Monster". Lee Min Ki had a villain role in that movie and he really portrayed the character perfectly. supersnazzy Jan 01 2018 1:54 am Okay since Kim Jae Wook will not be joining the second season of voice, i hope they could casted Lee Min Ki as the villain. I believe he can potrayed the character really well. As for Jang Hyuk, i cant think which actor that could best to replace him. Cloud Dec 06 2017 7:52 am Victoria White SAME!! It's a great drama but the season 1 become more great because Yesung was in it. We (ELF/Cloud) already knew that the SS7 will starts kicking off so Yesung oppa will be busier. But let's be positive and hope that he will accept the role just in case he is offered to. Cloud Nov 19 2017 11:17 pm I really have this feeling that Yesung will be joining the cast again. He just posted a photo of him with Park Eun- Seo and Shim Dae-Shik in insta!!! Ugh! Can't wait. Pls announce the cast soon. Cloud Nov 15 2017 3:08 am Who among here had watched Weekly Idol Episode 328?? Hyeong Don asked Yesung if what he's been working now and he answered "I was working in a drama." Why do I have this feeling that this was the one he was referring to?? Mabe Nov 10 2017 8:16 pm Is this for real? Let's be honest...seasons 2 are never welcomed by viewers. I'm pretty sure hyunk will not come back.. Hana, perhaps.. I disagree about this new season coming. I will only watch this if Hana and Hyunk are on board. honey swan Nov 10 2017 2:08 am Yesung again jebal !!! Cloud Nov 04 2017 4:54 am Please announce the cast soon! Freeze Nov 03 2017 7:23 pm Daebakk.. Can't wait..
Korea fan Nov 03 2017 4:36 am Jang Hyuk , Jang Hyuk. Park Yu chun, Park Yu chun, Kim Nam Gil, Kim Nam Gil , Kim Woo sik, Kim woo sik. Sorry sorry Nov 02 2017 9:16 pm Please jang hyuk again as main lead. liri Nov 02 2017 8:55 pm was this good? it's all the same like signal. Leane Nov 02 2017 3:13 am Excited for this!! !